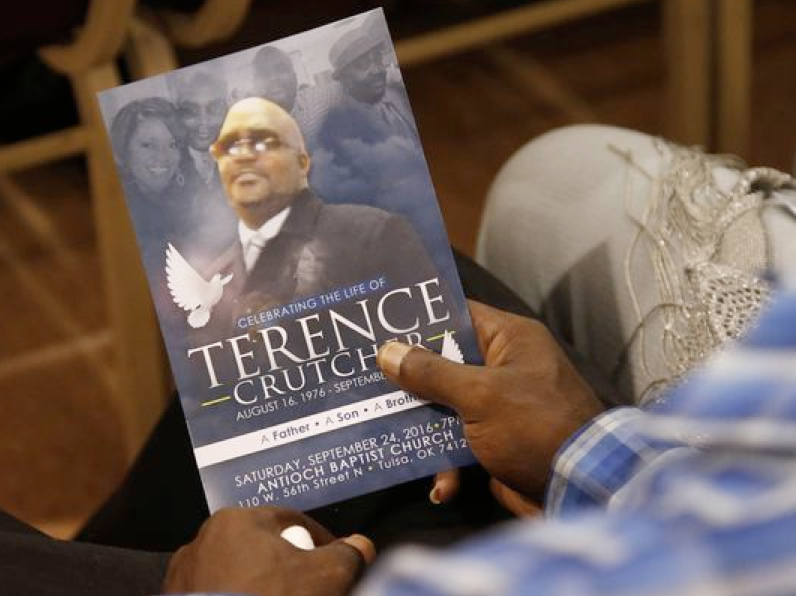 The killing in September was one of a number of police shootings of unarmed black men across the United States in recent years that have heightened concerns about possible police misconduct. 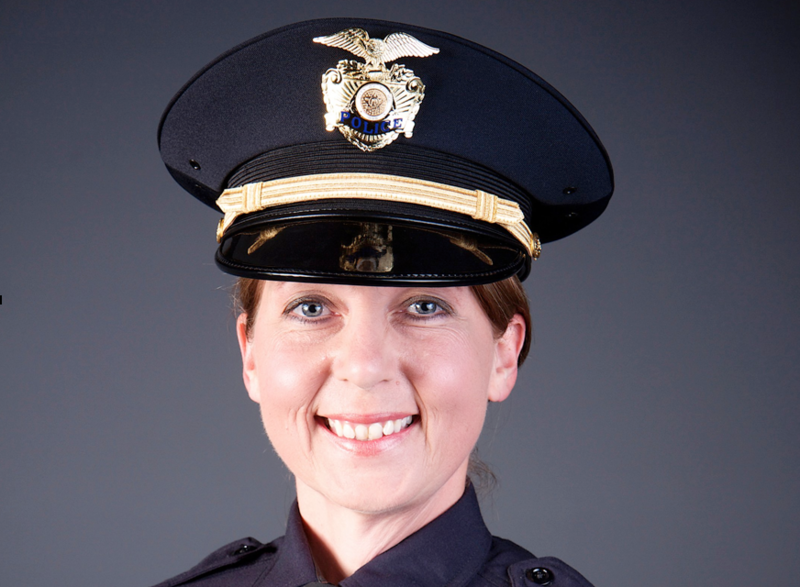 After nine hours of deliberations, a jury acquitted Tulsa police Officer Betty Shelby in the shooting death of Terence Crutcher, an unarmed black man. On September 16, 2016, Crutcher’s SUV was found stalled in the middle of the street. A witness called 911 and said a man was running away from the vehicle, warning it was going to blow up. Shelby testified she arrived on the scene and approached the vehicle and cleared it, not seeing anyone inside. Footage from multiple police cameras show Crutcher walking toward his SUV in the middle of the road, hands raised, followed closely by Shelby and three other officers. 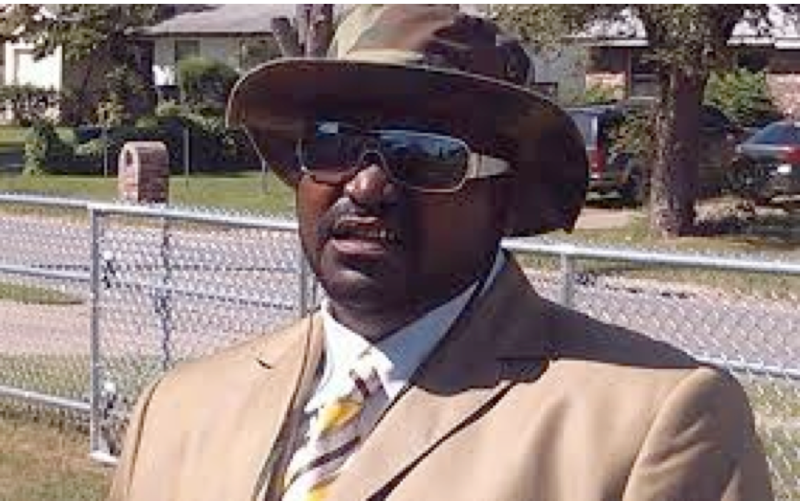 They approach Crutcher, who continued to walk back to his car, where he appeared to move his hands toward the vehicle. 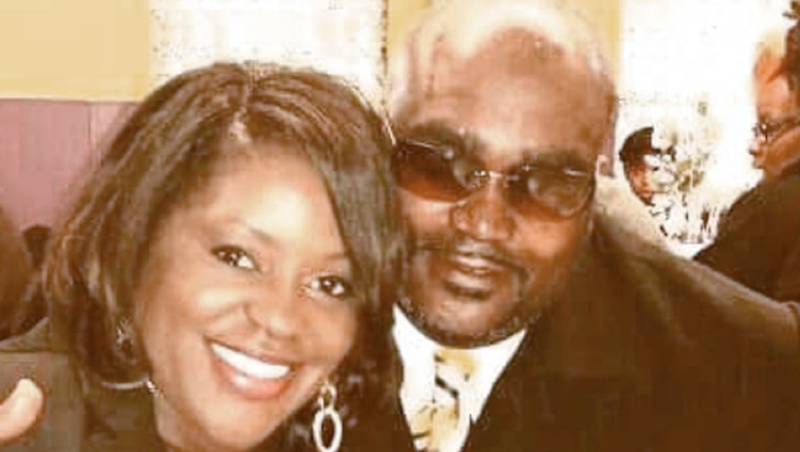 Police and the Crutcher family, which through attorneys has cautiously praised police for quickly releasing videos and audio of the shooting, have differed on key parts of Crutcher’s last moments: whether he disobeyed police or not, and whether he was reaching into his car. 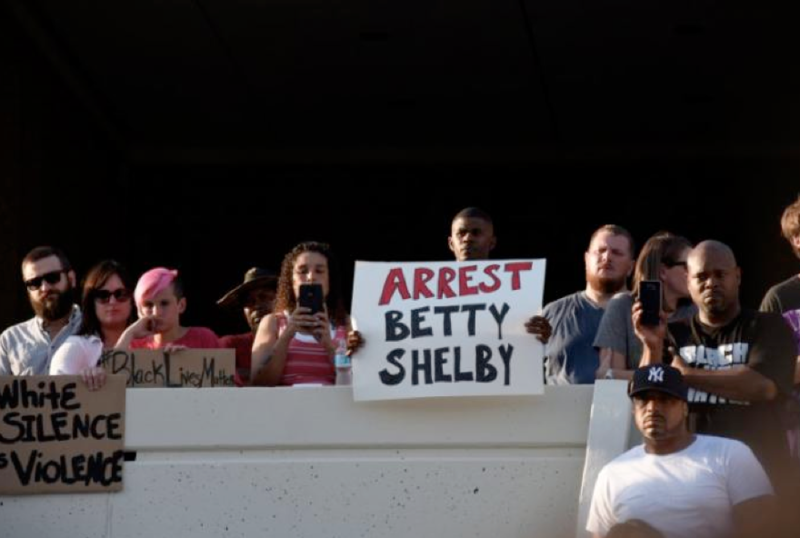 About 200 people gathered for a peaceful protest in front of Tulsa’s Civic Center Plaza on Tuesday night, holding signs reading: “Justice 4 Crutch” and calling for Shelby to be arrested. On Tuesday, the Oklahoma City chapter of Black Lives Matter and organizers of the Women’s March called on the U.S. Department of Justice to file civil rights charges against Shelby. 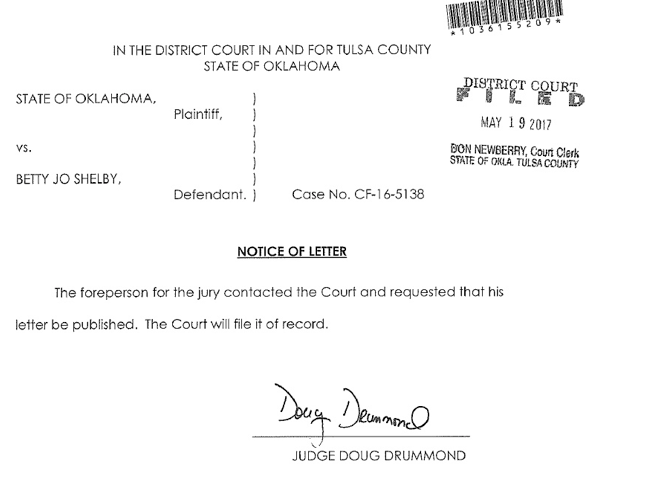 “The jury concluded that any officer put in that situation at that exact moment and regardless of the skin color, gender or size of the suspect, would have performed the same way, which is in accordance with their law enforcement training,” the jury foreman, whose name does not appear in the letter, wrote. 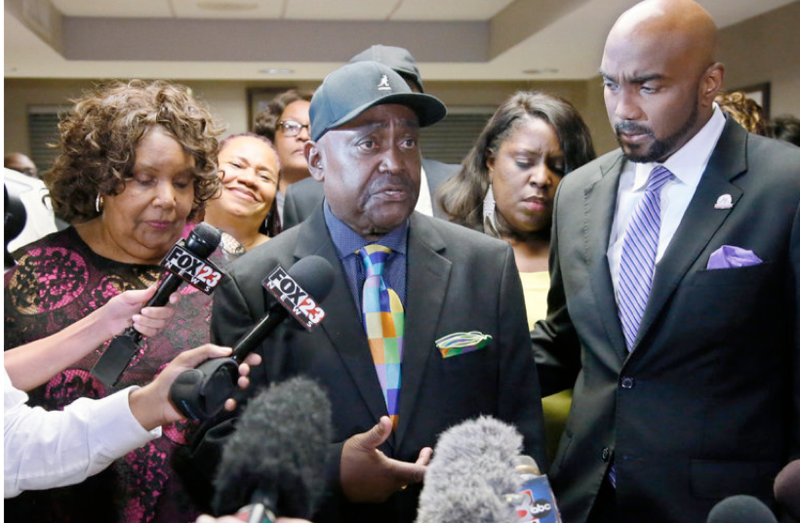 Tulsa’s black community hoped against hope that the footage of Mr. Crutcher’s last moments, showing him with his hands in the air, would be enough. During the jury deliberation, the jurors began voting “not guilty” as they grew increasingly hungry and tired after being in the room for about six hours, the juror told the Frontier. 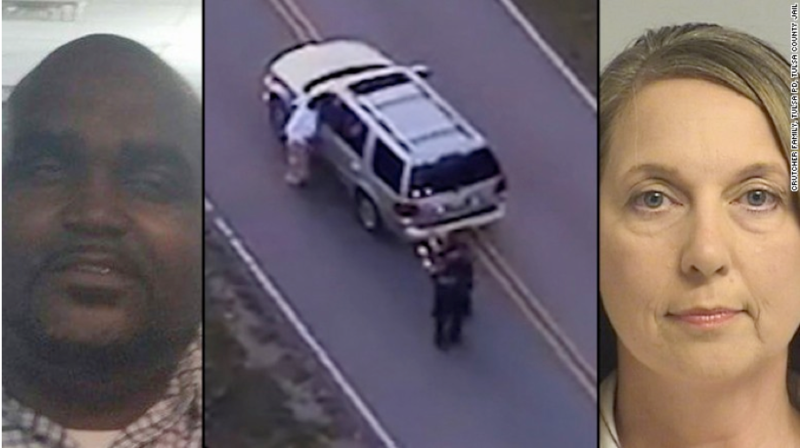 Shelby said she fired her weapon out of fear because she said Crutcher didn’t obey her commands to lie on the ground and appeared to reach inside his SUV for what she thought was a gun. Crutcher was unarmed.